"About 25 years ago, Ted Barris began breaking through the silence. Because of his unique interviewing skills, he found that veterans would talk to him, set the record straight and put a face on the service and sacrifice of men and women in uniform. As a result of his work on 15 previous books, Barris has earned a reputation of trust among Canada’s veterans. Indeed, over the years, nearly 3,000 of them have shared their memories, all offering original material for his books. Among other revelations in Breaking the Silence, veterans of the Great War reflect on an extraordinary first Armistice in 1918; decorated Second World War fighter pilots talk about their thirst for blood in the sky; Canadian POWs explain how they survived Chinese attempts to brainwash them during the Korean War; and soldiers with the Afghanistan mission talk about the horrors of the “friendly fire” incident near Kandahar. 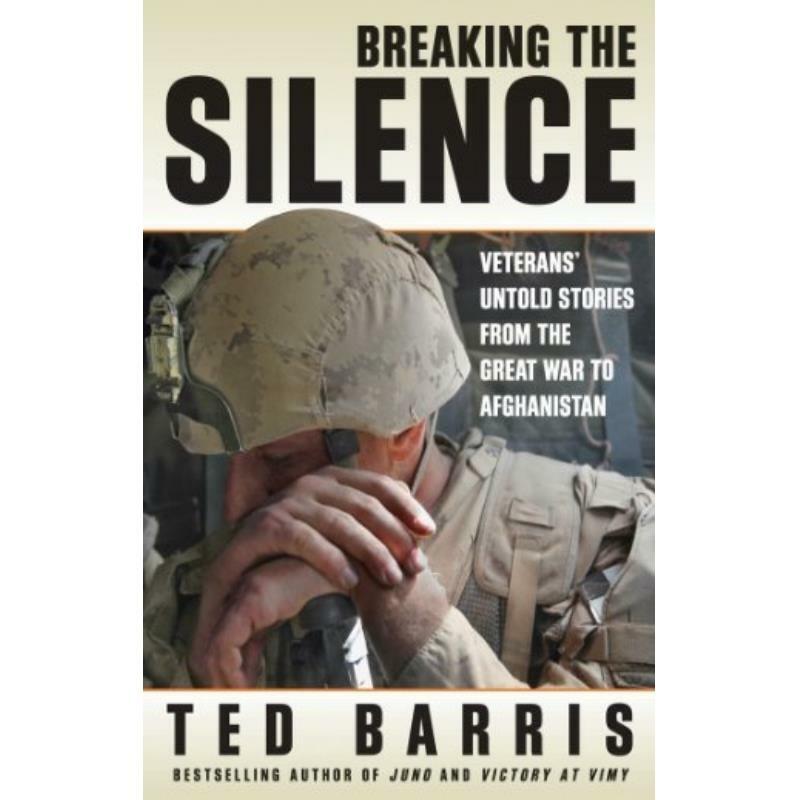 Breaking the Silence is a ground-breaking book that goes to the heart of veterans’ war-time experiences."